On Grief & Grieving: Finding the Meaning of Grief Through the Five Stages of Loss by Elisabeth Kübler-Ross and David Kessler is a classic text which stands the test of time. First published in 2005, it has been re-released ten years later with a foreword by Maria Shriver – someone well acquainted with grief and loss. Kübler-Ross’ Five Stages of Grief was initially five stages of attitudes the dying experienced before death. Those now well-known stages, first spelled out in her 1969 book On Death and Dying, are (all together now) Denial, Anger, Bargaining, Depression and Acceptance. The Stages were never meant to be regarded as a set-in-stone process – not everyone experiences every stage, and any one of the stages could be experienced in any order. In On Grief & Grieving, Kübler-Ross and Kessler apply these stages to explain the inner and outer worlds of grief – how our emotions affect us within our minds, and how grief affects our relationships with others. The Outer World of Grief section provides insights on physical responses and interpersonal interactions impacted by grieving. They explain how mourners react to anniversaries and holidays, may or may not take care of their own health, and deal with the clothing and possessions of the deceased, among other practical matters. The authors also deftly explore how grief can vary depending on specific circumstances of death, such as multiple losses, disasters, suicide, Alzheimer’s Disease, sudden death and the death of children. On Grief & Grieving: Finding the Meaning of Grief Through the Five Stages of Loss (Scribner, 272 pages) is an invaluable tool for funeral aftercare programs and to help new funeral directors understand the grief reactions they see in their work. This new edition includes a reading group guide with topics and questions for discussion and a listing of online resources. Every funeral director and grief counselor needs to have a copy of this book in their resource library. Co-author David Kessler offers free grief resources at his website, Grief.com. 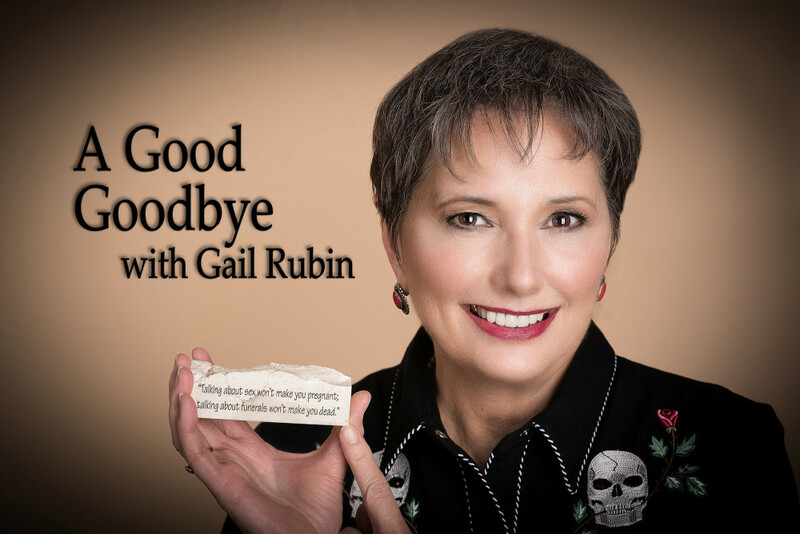 Gail Rubin, CT, is a death educator Certified in Thanatology: Death, Dying and Bereavement. She’s a speaker who uses humor and funny films to attract people to discuss mortality, end-of-life, business communications, estate and funeral planning issues. Author of the award-winning book A Good Goodbye: Funeral Planning for Those Who Don’t Plan to Die, she co-authored the new free eBook, Celebrating Life: How to Create Meaningful Memorial Services, with Templates and Tips. Her website is www.AGoodGoodbye.com.